The Other Art Fair Melbourne. This Autumn The Other Art Fair is heading back to Kensington's super cool venue, The Facility, to present 120 incredible artists over four days - their biggest edition yet! 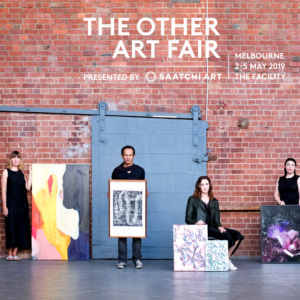 Presented by the world's leading online art gallery Saatchi Art, and celebrated for its unique visitor experience, The Other Art Fair will delight and inspire art lovers with a tightly curated and distinctive program of fair features, creating a platform for the 'unexpected' at the fair.